Head out to Durham, NC this month to visit the Museum of Life and Science! This month nano will be featured in multiple ways. 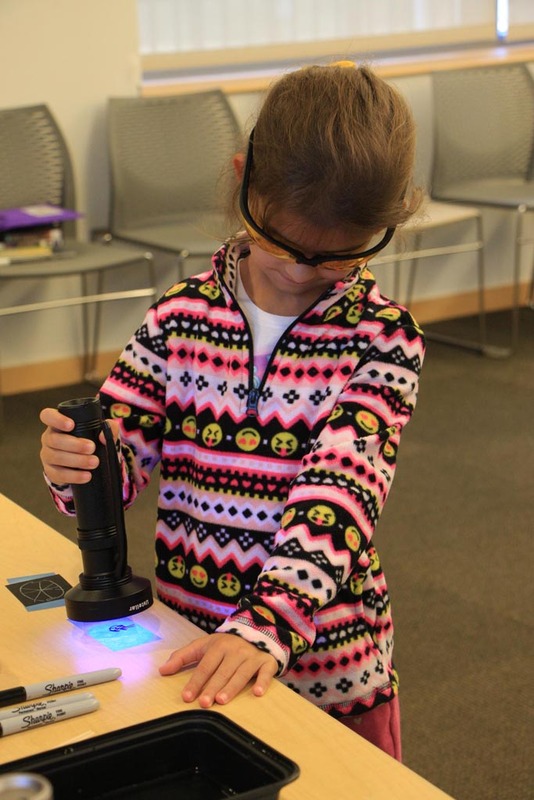 The Nano exhibit introduces the basics of nanoscience and its real-world applications. The show “Nanostructures: Nature vs Engineering” features images of nanoscale structures from RTNN faculty member Dr. Chih-Hao Chang, associate professor of Mechanical and Aerospace Engineering at NC State University. The Lab has hands-on nano-activities. Each week new topics will be featured. Join us in The Lab on Saturday, March 2nd from 10 am to 4 pm to test drive our new desktop SEM. We will have a variety of samples to view. 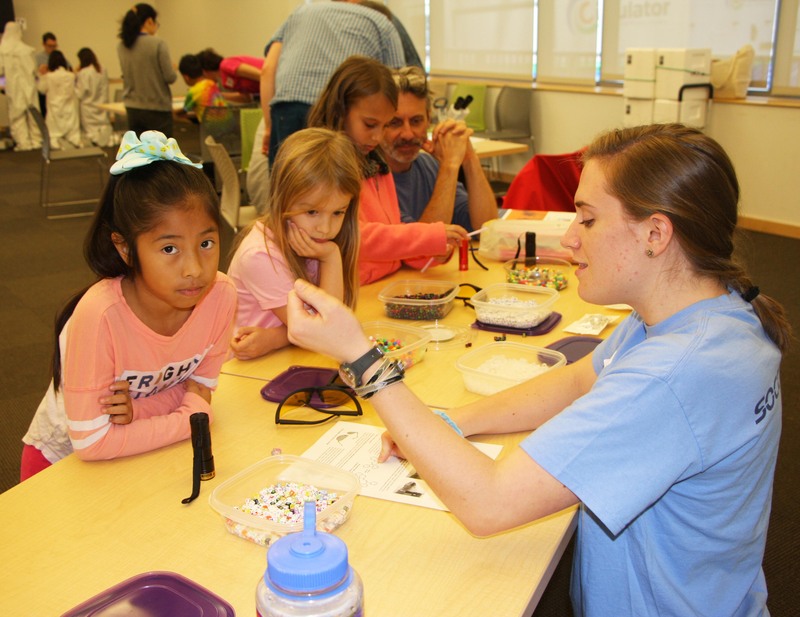 And, every Saturday, local nano-scientists and -engineers will be in The Lab to uncover how nanotechnologies are made, studied, and used. For more information, visit the Museum’s Nanomonth website. The RTNN ambassadors program is now accepting applications for the spring semester. This program is open to undergraduate and graduate students from NC State University, Duke University, and the University of North Carolina at Chapel Hill. Program participants will give facility tours to university guests, host student groups in the facilities, travel to local schools for outreach events, and more! Ambassadors will also have the opportunity to meet a variety of facility users and guests, network with other RTNN ambassadors, and actively participate in the planning and implementation of RTNN programming and events. For more information about ambassador responsibilities and application instructions please visit the program website. Priority applications are due February 18, 2019. Dr. Khara Grieger and Maryam Khazaee were co-recipients of the Collaborative Research Award. The collaborative research award seeks to identify outstanding research projects, papers, and/or presentations that leverage the resources, equipment, and/or expertise available through the RTNN. Khara is an environmental scientist at RTI, International and won for her collaborative work, “Ensuring Sustainable Innovation of Water Treatment Technologies using Engineered Nanomaterials.” This project, a collaboration with Duke and NC State, supports the development of safe and sustainable water treatment systems that rely on engineered nanomaterials. This was performed through the selection, application, and testing of risk screening tools for a select group of nanomaterials proposed for use in water treatment technologies. Maryam is a Visiting Doctoral Researcher in the Department of Mechanical Engineering and Materials Science at Duke University. (Home Institution: University of Duisburg-Essen). Her project, “Fabrication and Characterization of Multidimensional Semiconducting Bismuth Halides for Electronic Applications,” was accomplished through the collaboration and communication among five teams of scientists from Duke, NC State, UNC Chapel Hill, Dalhousie (Canada), and Duisburg-Essen (Germany). The work utilized Duke University’s Shared Materials Instrumentation Facility (SMIF), the Chapel Hill Analytical and Nanofabrication Laboratory (CHANL) (X-ray photoelectron spectroscopy (XPS)), and NC State’s Analytical Instrumentation Facility (AIF). Justin Norkett (NC State), Nicole Smiddy (UNC), and Maxine Gorelick (Duke) have been awarded student outreach awards to recognize their exemplary leadership, initiative, and ongoing commitment to the mission of expanding access to RTNN nanotechnology user facilities. 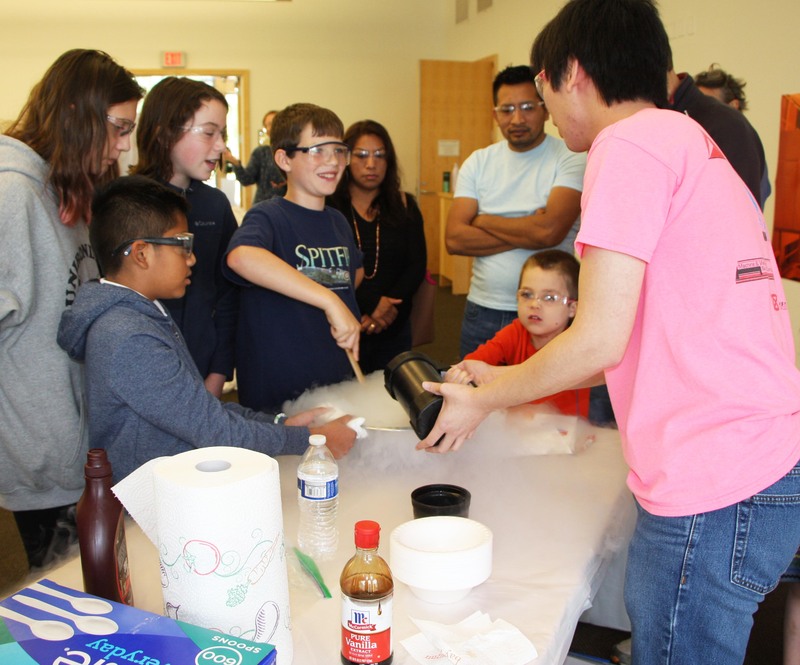 Justin has been involved in STEM outreach through the NCSU Department of Materials Science and Engineering for eight years. During this time, he has independently developed and documented over 100 experiments suitable for K-12 students. On average, he is interacting with over 100 students per month. For the Summer 2018 camp, he integrated his PhD research project into the student experiments, preparing a simulated failure analysis activity based on his dissertation topic, liquid metal embrittlement. He used AIF at NC State to demonstrate the power of electron microscopy for examining the nanoscale structure of materials and how that relates to their macroscopic behavior. Nicole participates in a number of activities for CHANL including doing an in lab demo for the Coursera course and helping to coordinate and execute remote SEM sessions for schools and outreach partners. Nicole has also become an expert in taking and interpreting force measurements on cells with the CHANL AFM. She has developed material for and led workshop sessions in the Forces in Biology workshop run by the Superfine lab at UNC. Nicole has made a positive impact on CHANL’s outreach activities, and has done an amazing job in this role! Maxine has been an exceptionally important resource for SMIF’s K-12 outreach efforts. She has worked numerous hours with many different school groups. Maxine has a unique and valuable ability to engage and connect with students. She can explain complex scientific information is a way anyone could understand. Students loved getting the chance to talk with Maxine about what it is like to be an undergraduate at Duke. More information about the awards can be found on the RTNN Awards page.